The Administrative Training Institute, Nagaland is the apex Training Institute in the State. It was established in 1972 with the objective of enhancing professional knowledge and skills needed for better performance of individuals and organizations and to promote better understanding of professional requirements and bringing about the right attitudinal orientation for all Government servants to ensure effective and efficient functioning of the Government machinery in all spheres of Governance. ATI is headed by a Director and assisted by 1(one) Additional Director, 2(two) Joint Directors, 1(one) Deputy Director (Research), 3(three) Deputy Directors (Training), 1(one) Lecturer, 1(one) Research Officer, 2(two) Librarians and other supporting staff. The Mission of the Institute is to help the Government Departments tackle their challenging and complex public administration issues with a view to make continuous improvement in the performance of their employees. The Institute has conducted training on different topics such as Mass Skill Up-gradation, Management, Accounts, Disaster Management, RTI Act 2005, Gender Issues, Rights and Welfare of Persons with Disability, Basic Office Procedures, Personality Development, Human Rights, Consumer Rights and Protection, Computer, Library Management etc. 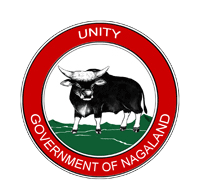 Nagaland Government Servants Conduct Rules, 1968 and Nagaland Services Discipline & Appeal Rules, 1967 for all the Directorates & Districts Offices of the State where 3847 government employees were trained, covering 62 Departments and Directorates. Second ARC Recommendation training for NCS and NSS officers. The on-going Induction Training Programme for cutting edge Government Employees (0-2 years) of Group B & C employees covering 5 Districts of the State out of which Peren, Phek, Khipire and Longleng has been completed. Training inTuensang will be taken up. Civil Services Day Celebration, held during 20th-21st April, 2015 in ATI was participated by more than 200 Government employees from all the Government Departments of the State. The Institute during 2015-16 has completed 103 trainings and has trained 5470 participants. Department of Personnel & Administrative Reforms – Nagaland © 2019. All Rights Reserved.